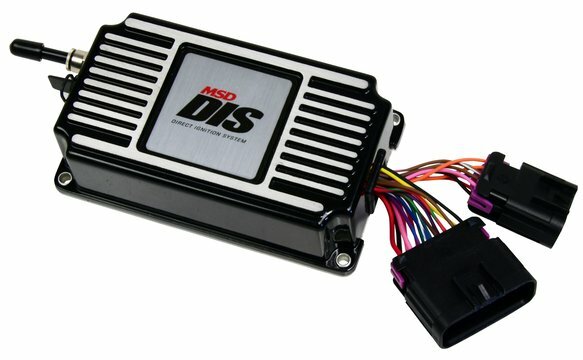 The MSD Direct Ignition System (DIS) controller greatly simplifies the conversion of conventional distributor-type engines to a Coil-Per-Plug configuration. 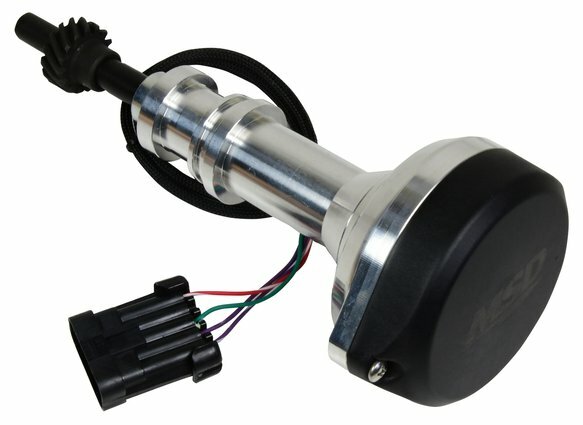 Benefits include the elimination of distributor cap and rotor wear, reduced spark energy losses caused by long spark plug wires, and the ability to optimize your ignition tuning parameters. The integral 2.5 Bar MAP Sensor, and optional temperature sensor input, mean you get the most power and reliability out of your Naturally Aspirated or Forced Induction engine combination. Nitrous-fed engines benefit from the included Step Retard feature. Drag racers will appreciate the 2-Step Rev Limiter and Launch Retard features. Real-time DIS configuration and tune-up changes are a snap with easy-to-use MSDView software. Thanks to the real-time monitor feature of MSDView, and 8 MB of internal data storage in the DIS controller, data monitoring and logging have never been easier. 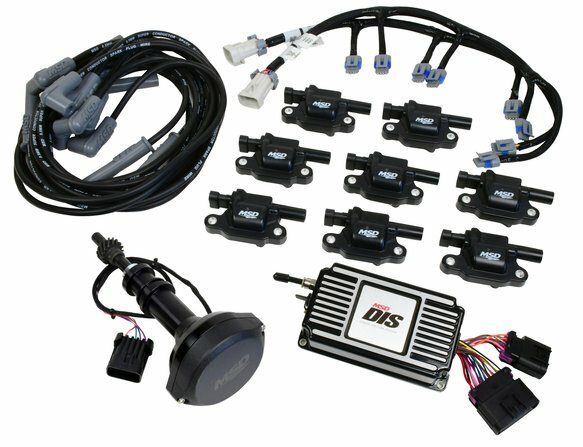 The clearly labeled wiring harness, along with a full line of supporting components and accessories, take the difficulty and guesswork out of converting traditional distributor-type engines to a modern and efficient Coil-Per-Plug ignition system. For GM Gen-III engines such as the LS1 or LS6, these wires are perfect when you relocate the coils. 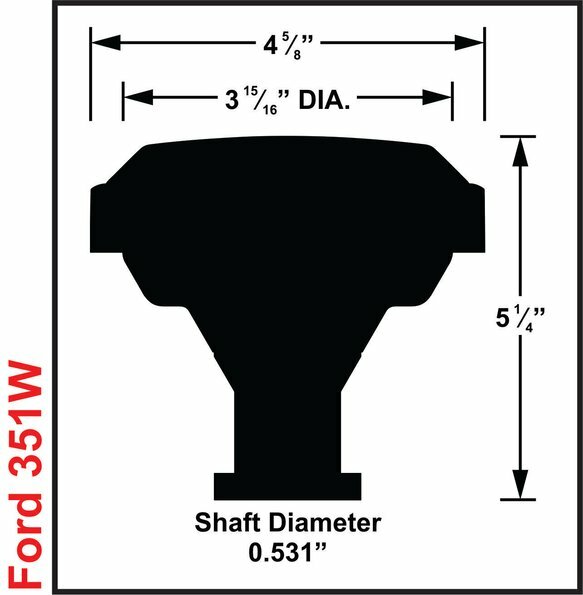 Both 90° and Multi-Angle boots supplied.